Galveston Island Sunday night fireworks are free and fun. 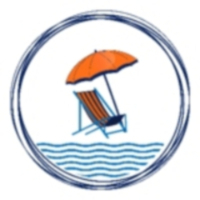 The fireworks are sponsored by the Galveston Island Convention and Visitors Bureau. The beachfront fireworks shows takes place at 9:00 p.m.every Sunday through September 2, 2018. The fireworks are launched over the Gulf of Mexico near 37th Street and Seawall Boulevard. Prime viewing spots are Brick House Tavern and Tap and Joe’s Crab Shack both located at 35th and Seawall Boulevard. 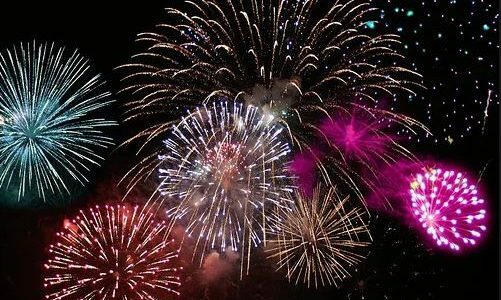 The fireworks shows provide an opportunity for visitors to extend their weekends and enjoy additional things to do on the island. The crowds typically thin out on a Sunday and it’s easier to maneuver around the island. In addition, mid-week lodging rates are significantly lower Sunday through Thursday night. Seazatt View Condo has availability for mid-week nights. Mention this post and receive an additional 15% off nightly rental rate. 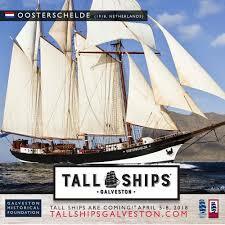 For the first time ever, Tall Ships® is coming to Galveston Island, TX Thursday, April 5 to Sunday, April 8, 2018. This new festival will host tours of the participating ships, numerous special events, sail away excursions, music, food and fun in a family friendly environment. The Festival Admission (No Ship Boarding) is $10 for adults, $5 for children and 6 and under are free. 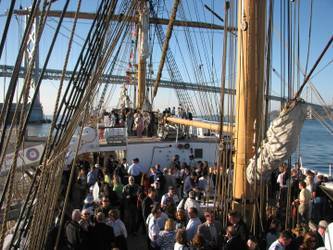 This admission includes access to the festival grounds and view appearing Tall Ships. This ticket does not allow you on board any ship. Festival grounds and ship viewing are open from 10 a.m. to 10 p.m. daily. The Festival and On Board Ship Tours Admission is $20 for adults, $10 for children and 6 and under are free. This admission includes access to festival grounds and the ability to tour each appearing Tall Ship. Ships are available for tours from 10 a.m. to 5 p.m. daily. Galveston Lone Star Rally is the largest four-day motorcycle rally in North America. Over 450,000 motorcycle enthusiasts will roar into town beginning Thursday, November 2nd to Sunday, November 5th. Galveston Island will be engulfed with the sounds of revving and rumbling engines and tires screeching throughout the four-day rally. The City of Galveston and its residents welcome the Lone Star Rally. The rally is a financial boost to the local economy. In addition, the bikers enjoy the dedicated venue space. Fifteen city blocks in the Historic Strand District and five blocks on Seawall Boulevard are roped off for motorcycles only. Want to get away from the noise and the crowds? Hop on your hog and head west on Seawall Boulevard. Seawall Boulevard turns into divided highway FM 3005. The ride is spectacular with the Gulf of Mexico on the south. Four miles to the west of FM 3005 is a biker friendly bar, The Oaks The Oaks has a history with the Lone Star Rally as it used to be Lazy Oaks and also Crazy Oaks. Shoot a game of pool with your brothers as you reminisce. The interior has been renovated and there’s lots of motorcycle parking and room to stretch your legs and take off your gear. Another biker friendly bar and restaurant is Nate’s West End located nine miles west of FM 3005. Grab a beer and sit out on the patio and watch the sunset. Popular menu items include the hand patted burgers, fresh chicken fried steak and fresh snapper. There is so much to do and see, please download the official Galveston Lone Star Rally App to get more information.